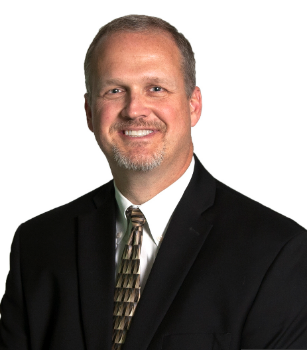 Preferred Systems Solutions, Inc., a portfolio company of CM Equity Partners, has appointed Randy Morgan as CEO and a member of the PSS board of directors. With the news came the announcement that current CEO and board member Jim Ballard takes on the role as board chairman. Morgan will be tasked with continuing to expand PSS’ professional services and technology capabilities and promoting the personal and professional development of its workforce, PSS said. “I am very pleased to be joining a very talented PSS Team as their new CEO and look forward to building upon the success PSS achieved through outstanding support and providing critical mission solutions to our customers to help protect our Nation,” Morgan said. Morgan previously held leadership roles at Parsons Corp., which he joined in 2011 as part of the acquisition of SPARTA, Inc. There, he most recently served as executive vice president for operations for Parsons Federal, a 4,000-person global business unit of Parsons Corp. Working with the Parsons Federal leadership team, Morgan was key in the design and adoption of several multiyear new business campaigns that led to the successful pursuit and capture of several industry-leading contract awards within the Defense Department, the intelligence community and the Missile Defense Agency. Prior to that, Morgan was president of SPARTA, Inc., where he provided leadership to 1,500 technical professionals conducting research and development, design, engineering and testing of complex systems in support of the DOD, IC and the Department of Homeland Security. Ballard, CEO since August 2017, and previously president and COO since 2014, will become chairman of the board. “We are grateful for Jim’s guidance over the past five years with PSS and look forward to his continued participation in the success of the Company,” Schulte said.